In an Online Argumentation Platform, a great deal of speech messages are produced. To find similar speech texts and extract their common summary is of great significance for improving the efficiency of argumentation and promoting consensus building. In this article, a method of speech text analysis is proposed. Firstly, a heuristic clustering algorithm is used to cluster the speech texts and obtain similar text sets. Then, an improved TextRank algorithm is used to extract a multi-document summary, and the results of the summary are fed back to experts (i.e. participants). The method of multi-document summarization is based on TextRank, which takes into account the position of sentences in paragraphs, the weight of the key sentence, and the length of the sentence. Finally, a prototype system is developed to verify the validity of the method using the four evaluation parameters of recall rate, accuracy rate, F-measure, and user feedback. The experimental results show that the method has a good performance in the system. Argumentation is a means of activating group thinking, resolving conflicts and seeking common understanding (Bench-Capon & Dunne, 2007). Argumentation is a sort of collective intelligence (Bessis, Asimakopoulou, & Xhafa, 2011), it is conducted through interactive dialogue among participants. During the argumentation, a large amount of speech text information will be produced, and the group consensus will be hidden in these speech texts. With the rapid development of internet and cloud computing technology (Shen, Shen, Chen, Huang, & Susilo, 2016; Sidhu & Singh, 2016), a lot of online argumentation platform (Alsinet et al., 2017) and social network (Ma et al., 2016) have been developed, such as Twitter (Alsinet et al., 2017; Carvalho, Rosa, Brogueira, & Batista, 2017)which has become a widely used social network to discuss ideas about many domains, DebateGraph (Scheuer, Loll, Pinkwart, & McLaren, 2010) which is a wiki debate visualization tool for public debates about various topics, Collaboratorium (Xu et al., 2016) which supports users in debating subjects of global importance, such as climate change through the creation of argument maps, Dell's Ideastorm website (Di Gangi & Wasko, 2009) which have received tens of thousands of suggestions for improving Dell’s products and services, and so on (Introne & Iandoli, 2014; Janjua & Hussain, 2012; Klein, 2012). Online argumentation platform is a way of collecting “wisdom of crowd” through public argumentation for problem solving and policy making. What people are interested in is to understand what is the major accepted or rejected opinion in argumentation. An effective online argumentation platform can not only support participants to exchange their opinions online, but also analyze the speech texts and support consensus building. Speech texts analysis in argumentation consists of three aspects. The first is to analyze attack or support relationship between abstract argument nodes, as well as the strength of attack or support, its purpose is to rank the arguments according to the intensity of support (Klein & Garcia, 2015), or to determine the acceptability of arguments according to extension-based semantics (Dung, 1995). The second is to analyze the content of speech, including keywords extraction, arguments mining (Lippi & Torroni, 2016), text summarization from unstructured textual corpora, etc. The third is a comprehensive analysis of the relationship between abstract argument nodes and the contents of the speeches, such as speech text clustering, classification, multi document summarization etc. There are some achievements in the study of the relations between abstract argument nodes, their theoretical foundation is Dung’s abstract argumentation framework (Dung, 1995) which describes the argumentation as a directed graph with node representing argument and edge representing attack relation between arguments, and put forward four corresponding semantic extensions. Based on Dung’s abstract argumentation framework (Dung, 1995) and IBIS model (Kunz & Rittel, 1970), Baroni et al. (Baroni, Romano, Toni, Aurisicchio, & Bertanza, 2015) put forward a quantitative argument model called QuAD using T-conorm operator to solve the dispute. Liu (Chanda & Liu, 2015) developed an intelligent argumentation system which allows stakeholder to post arguments supporting or attacking other arguments and proposed a method based on fuzzy inference machine to calculate the alternatives strength. Karacapilidis et al. (Karacapilidis & Papadias, 2001) developed an argumentation system called HERMES with argumentation model based on IBIS, which basic elements are issues, alternatives, positions, and constraints representing preference relations. The aim of HERMES is to calculate the preference orders between arguments and select the best one. Xiong et al. (Cai Qaun Xiong, Ouyang, & Mei, 2014) proposed an argumentation model based on the theory of certainty-factor, in which the process of argumentation is described as a dialogue tree, and the uncertainty of argument’s premise and the strength of the attack that one argument makes against another are assigned with certainty-factors, and proposed a recursive algorithm to compute the credibility of arguments. All of the above studies treat speech texts as abstract argument nodes, their goal is to compute the acceptability of the argument node by considering the relationship between arguments. But in the practical online argumentation platform, participants often do not directly give the attack or support relationships between the argument nodes, and their attitudes are usually hidden in the content of the speech texts, so it is necessary for us to analyze the contents of argument node itself. The content analysis of argument nodes includes single argument node analysis and multi-argument nodes analysis. The goal of single argument node analysis is to extract text summarization, or to extract argument from speech text; the goal of multi-argument nodes analysis is to find speech text clusters with similar views, and extract their common opinion (namely multi-document summarization), and association rules mining of arguments (Ashrafi, Taniar, & Smith, 2005; Tan & Taniar, 2007). 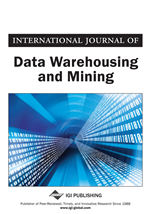 This paper focuses on multi-argument nodes analysis, which includes text clustering and multi-text summarization.